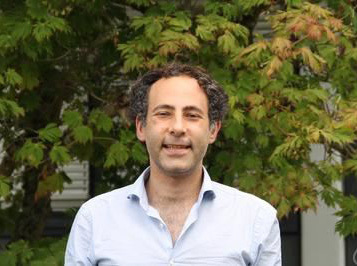 Dan Cristofaro‑Gardiner, assistant professor of mathematics at UC Santa Cruz, has been awarded a prestigious von Neumann Fellowship from the Institute for Advanced Study (IAS) in Princeton, New Jersey. Established to support distinguished mid-career mathematicians and theoretical computer scientists, the von Neumann Fellowships provide one year of funding for advanced research. With support from the fellowship, Cristofaro-Gardiner plans to spend the 2019-2020 academic year at the IAS focusing on his research in mathematics. He is one of the leading experts in the areas of three-dimensional contact topology and dynamics, and he has made fundamental contributions to work on the symplectic packing problem. Before coming to UC Santa Cruz in 2017, Cristofaro-Gardiner was a Benjamin Peirce and National Science Foundation fellow at Harvard University, and he was previously a member at the Institute for Advanced Study. He earned his PhD at UC Berkeley and a B.A. in mathematics at Harvard University.